There is no evidence that the above news item refers to this particular shop. Jessie Bryan wrote in 1980 about the end of the C19th and early C20th – “Mr. 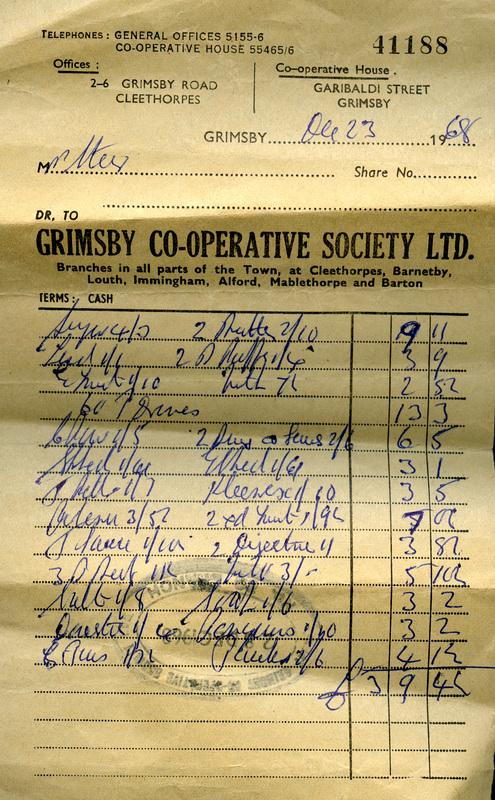 Beaumont, the tailor had the shop which is now the Co-Op”. 1920’s Mr Spry the tailor. Philip Rahtz, 1959, ” The (Roman) east wall lies under the buildings to the west of the Market Square. 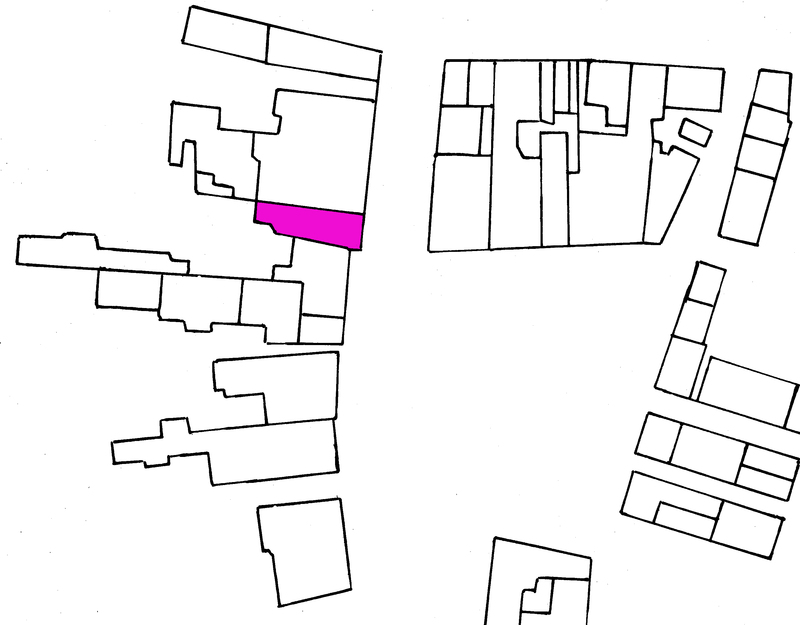 This is a large open space, and its west side is level; the east side slopes steeply and merges with the slope of the Wold Escarpment … It is suggested either that the level part of the Market Square was a natural feature utilized as an open level space in front of the most vulnerable side of the Roman walled area, or that it was artificially levelled for the same purpose; in either case it will have been reinforced with external ditches. The east wall would not be of the same construction as on the other three sides. There is no ‘cliff’ on this side, and the wall may be expected to run as straight and as short a course as possible, across the neck of the spur. It probably was founded on the chalk, and maybe expected to have had both inner and outer faces. Kevin Leahy in 2014 wrote: “Cellar of Pizza Takeaway. “Large, vaulted brick cellar the end wall of which is made up of coursed blocks of masonary the details of which are hidden by rendering. In the centre of this wall are the truncated remains of a door or a window blocked off with large rectangular stones. As an empty shop. Photograph Miss Kit Reader. In the cellar the brick wall butting on to the Red Lion has a blocked window. This indicates that this building pre-dates the Red Lion which was built pr 1748. It questions what the window looked out on. Was the ground level raised to build the Red Lion? ” The earliest identified occupier is Samuel Booth….. He was the on of Richard Booth who left him the business. According to Richard’s obituary he was for many years a respectable stationer, grocer and ironmonger etc. …. In 1810 Samuel had a tea and grocery warehouse etc. there, but his interests were much wider than that suggested. 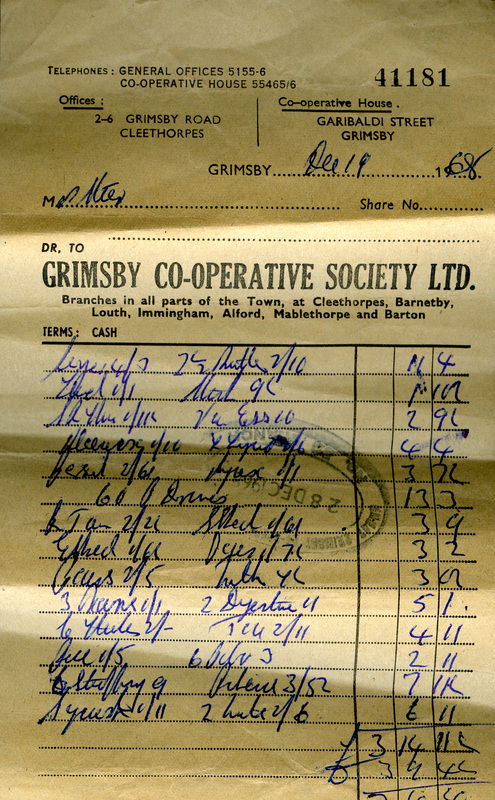 There is an advertising leaflet that shows he not only had a circulating library, and a medicine warehouse in addition to what he inherited from his father. Also in 1804 he had branched out into the banking business and in June 1810 we have a reference to him being an agent for the North Lincolnshire Bank. Was this the Bank which failed in 1812, and was this the cause of his own failure in business? In 1816 and 1821 he placed advertisements offering to let the property. Still, for a time, according to a later report, he was Caistor’s leading tradesman, and prominent in the life of the town. Among other things he was an Ensign in the local Voluntary Infantry and a Churchwarden. Despite his failure and his loss of property, which was taken over by Marmaduke Dixon, the 1826 Directory still listed him as trading. He and his family were possibly on Plough Hill in 1841. Hw died in 1850. He also deserves a mention in connection with the progress of Methodism in the town. It was he who sold the Methodists the land on which they built their first Chapel in 1818. After his failure I do not know what happened to the property or who occupied it until 1851…..
.. the (1851) Census suggests Dr. George Johnson, and the 1871 Census has him still there. George Haddelsey in his memiors puts Dr. Jameson down as nearly next to the Red Lion, but I think this was an error on his part. Dr. Jameson came into Caistor as a partner for Dr. G. M.Porter of Holly House in 1848. He was already married with a young family. His wife died in 1867, and he married again in 1876. His bride was Amelia Margaretta Dixon of Holton Hall, who eventually inherited the Holton Le Moor estate. 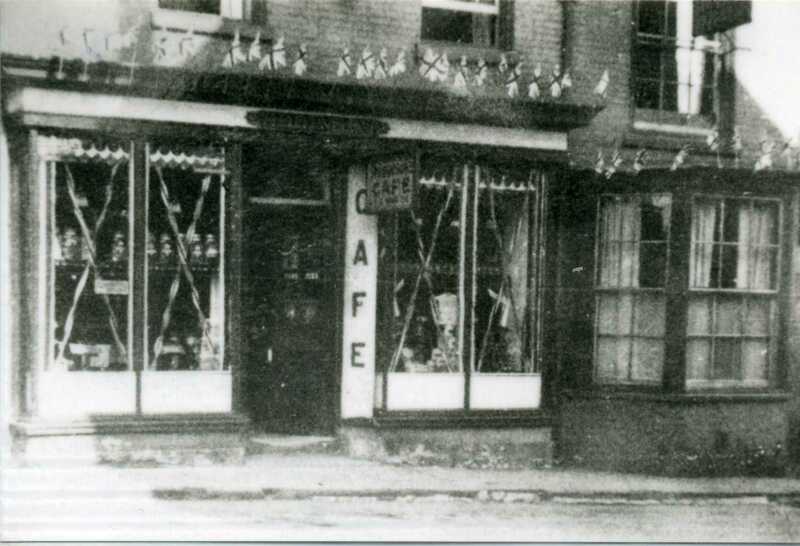 Her sister, Ann, gave the couple Holly House on the High Street as a wedding present. Dr. Jameson may have moved from the Market Place before his marriage, as his name is also associated with a house on Plough Hill. The next occupant … was Charles Beaumont. He was a tailor, and had been on the High Street from at least 1863. He continued in business in the Market Place until his death in 1905. He did not die a rich man: John Elliot Lamb, who had bought Charles Brown’s solicitors practice, noted that his assets would only just cover his liabilities. ‘The tailor’s shop next to the Red Lion was one of the better ones. Mr. Mudd and his son were both well dressed. They employed a tailor. Mother went to the shop for my brother’s first suit – navy blue, with an Eton jacket and a linen Eton collar”. 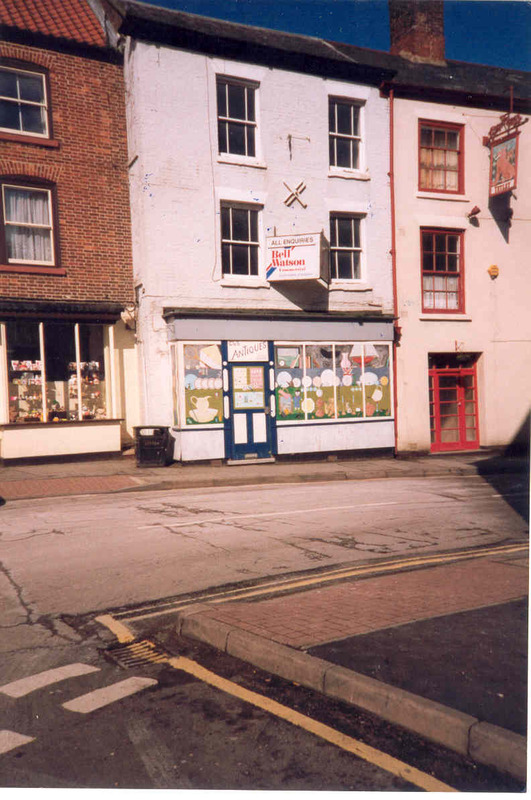 Mrs. Bryan’s only remark was that the shop was now (1980) a Co-Op. 1823 July. On the 30th ult. As two labourers were cleaning the vault of a privy upon the premises of Mr. Booth at Caistor, they discovered the body of an infant sewed up in a shift, in which was also a pocket handkerchief; the flesh was in a carious state, but the bones perfect. The information before a magistrate against a young woman who lived servant near the premises about two years and a half ago, were very strong, but as proof could not be produced of her absolutely having been delivered about that time, there was not sufficient ground for a commitment. In order to try to exculpate herself, she first attempted to incriminate another young person who had been staying a few weeks in Caistor about that time, but as to that young person, most full and satisfactory proof was given of her perfect innocence. The body appeared to have been deposited about the above time. 1920 Dentist Mr. Goy from Newland Lincoln. He would attend on the second and fourth Tuesday in each month between 10.00 a.m. and 3.45 p.m.
At the time of the dentist visits the premises was occupied by Mr. S. Mudd a tailor.